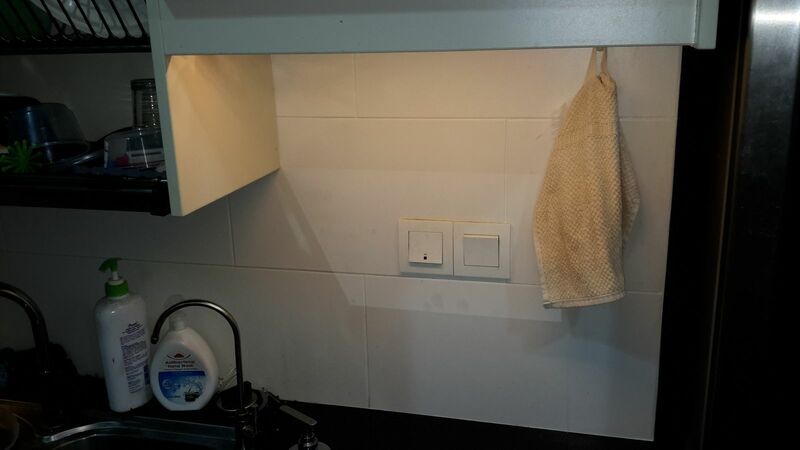 DIY Under Cabinet LED Lighting | Life, The Universe and ... Everything! 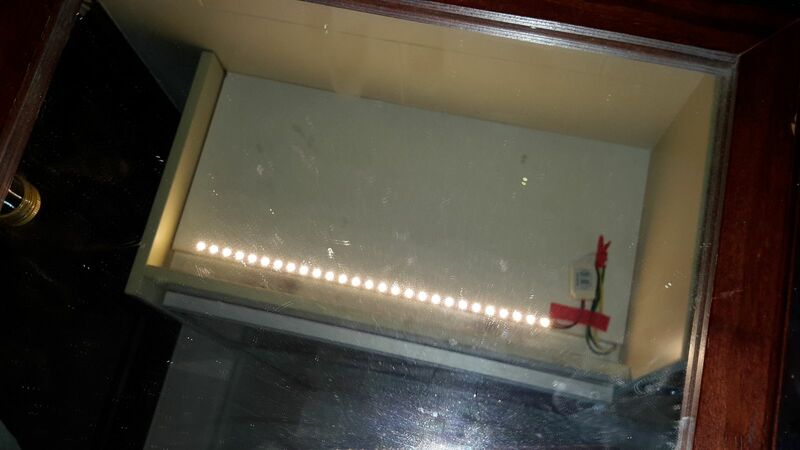 5 meter 3528 SMD LED strip, Warm White (USD4.50 / MYR18.30). So now it is time to make use of them! 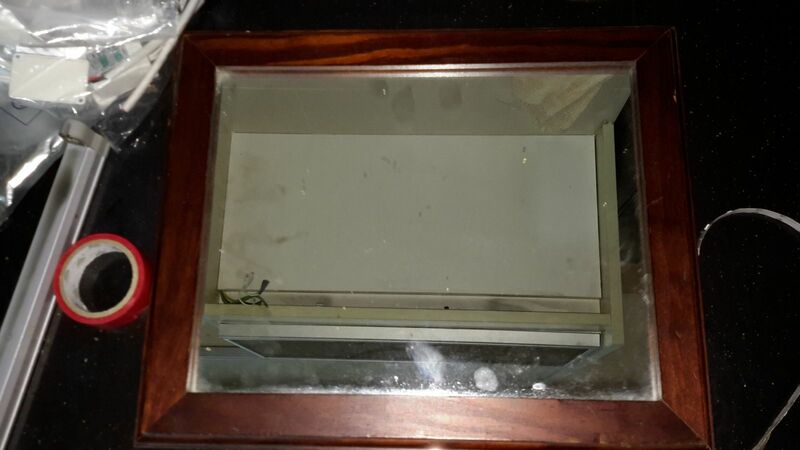 I started by yanking out the original 1 foot fluorescent tube holder (it's held on with clips). I put a mirror on the kitchen counter top so I could see what I was doing without having the bend my neck much. 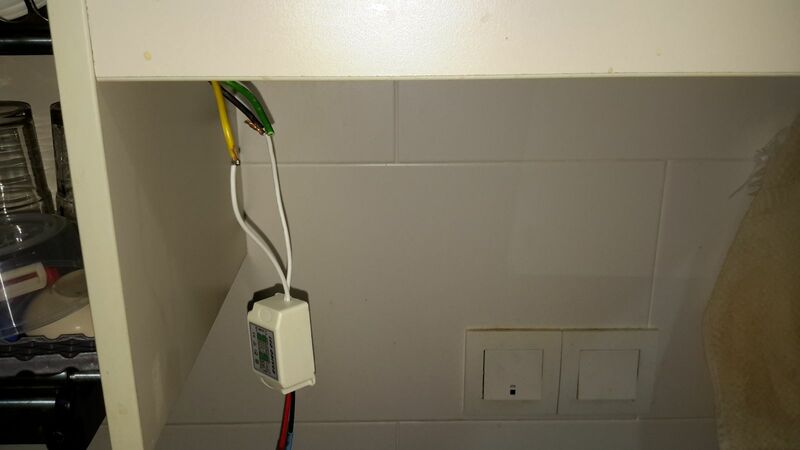 I made sure the power switch was off, and disconnected the existing connector from the mains wiring. 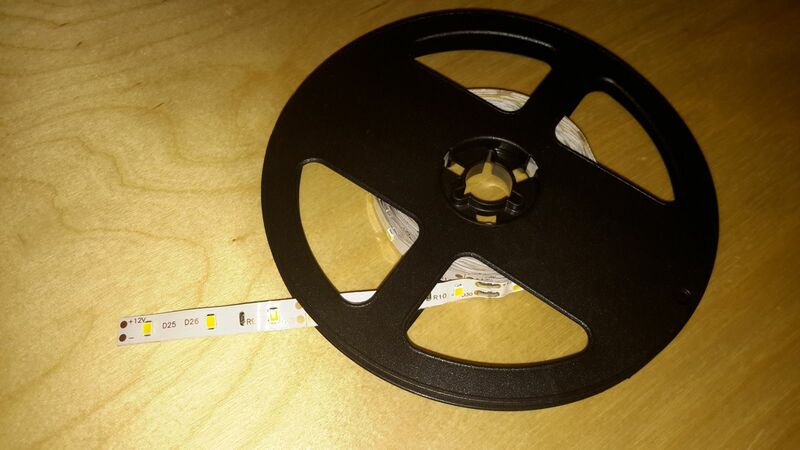 The LED strip comes in a cable reel, with embedded LEDs and resistors on it. 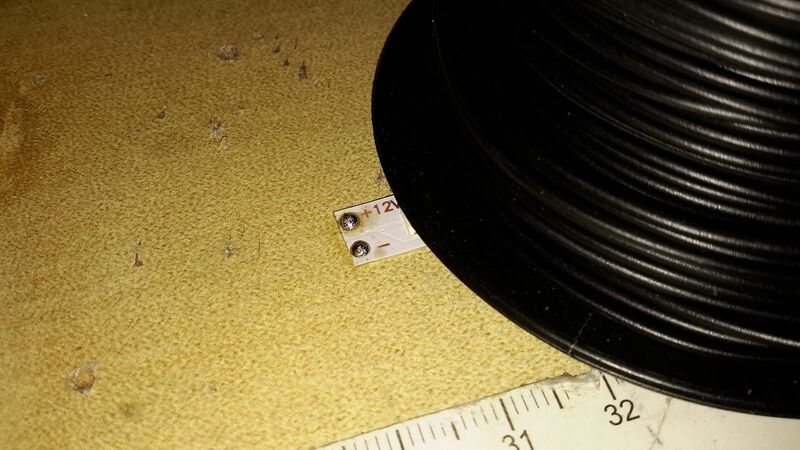 There are 60 LEDs per meter, and you can cut the strip at specific points, depending on how long you need it to be. 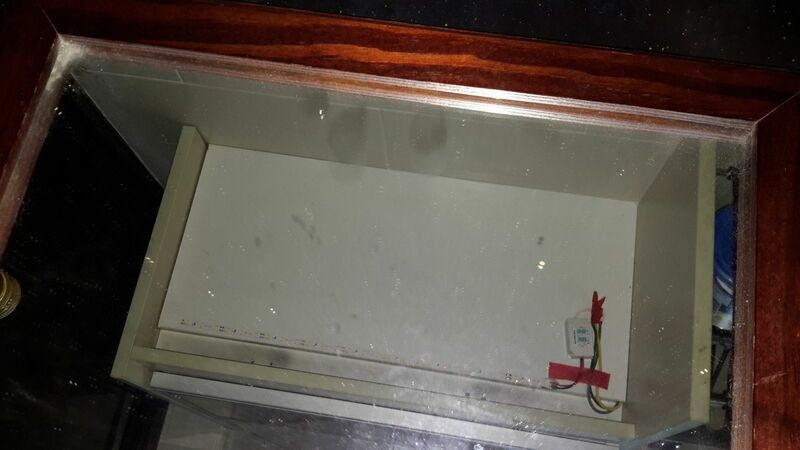 The original fluorescent tubes just need the 240V AC supply plugged into the casing with the appropriate connector. 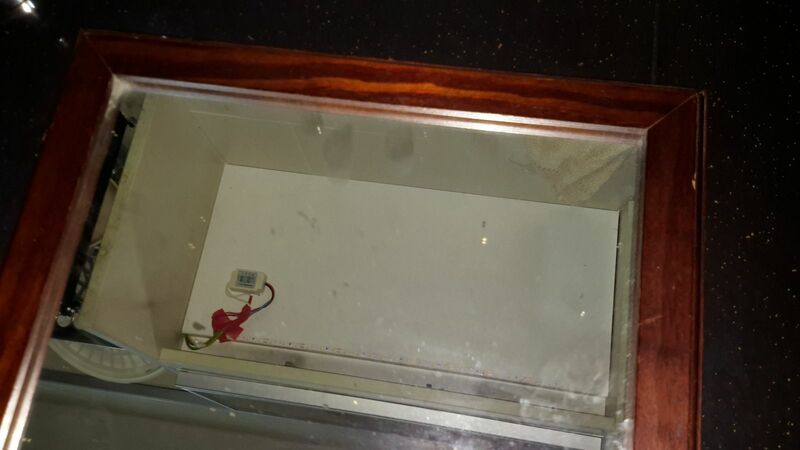 With LED lights, they need the 240V AC supply to be converted to a 12V DC supply. This particular strip requires 400 mA per meter. 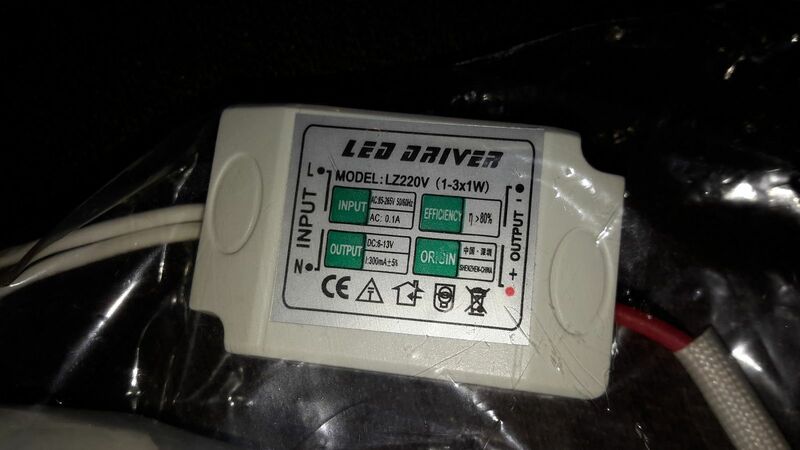 The power converter needs to be able to supply sufficient current as required by the LED lights. Since my strip length would be around 40cm, I used the smallest power adapter available which was rated at 300 mA. 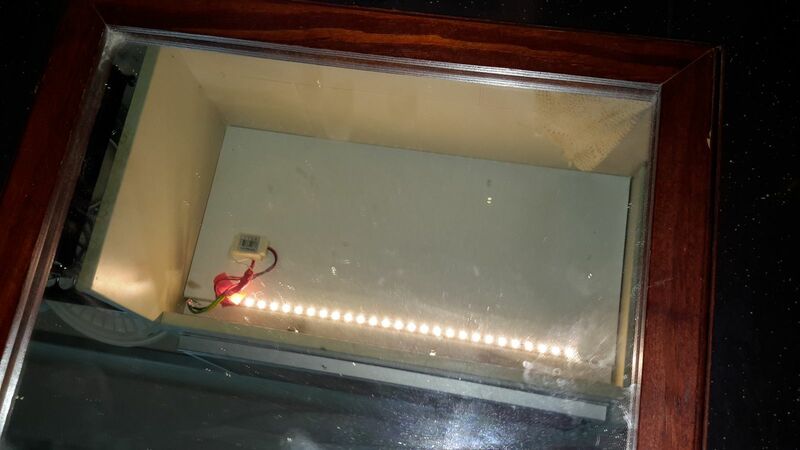 The LED Strip came with a pair of red and black wires already fixed to the beginning, so I just connected that to the power adapters output, and connected the power adapter's input to the AC supply. I wrapped everything up in electrical tape and fixed the adapter underneath the cabinet using double sided tape. 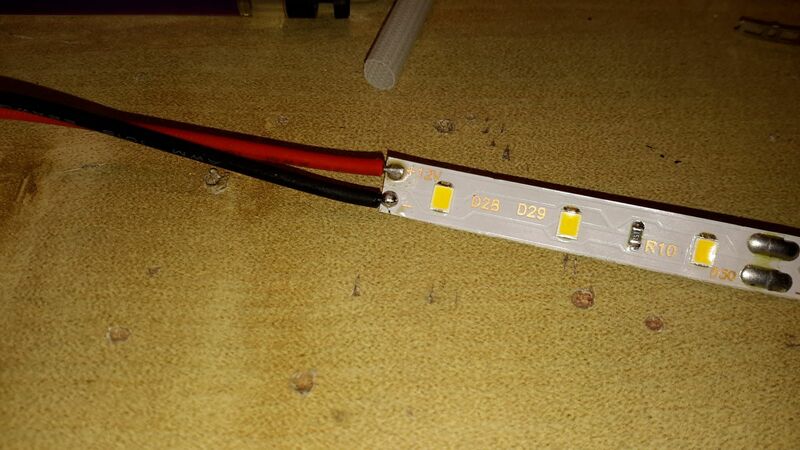 The LED strip comes with its own sticky backing. Even though it was warm white, the tone was slightly cooler than my existing fluorescent tube, so I decided to replace the one at the other side of the sink as well. To be safe I used hot-melt glue and fixed the start of the strip ad the wire ends to a small piece of PVC plastic so they would not come loose. The wire and strip was attached to the other side in the same way. Since my kitchen doesn't get any natural light into it, I leave these two lights on all the time, and so it would be a good test to see how long they last. I did notice there are points on the strip that are slightly hot to touch, I'm not sure if the heat is from the LEDs or from the resistors. This may have some impact onto their lifespan.